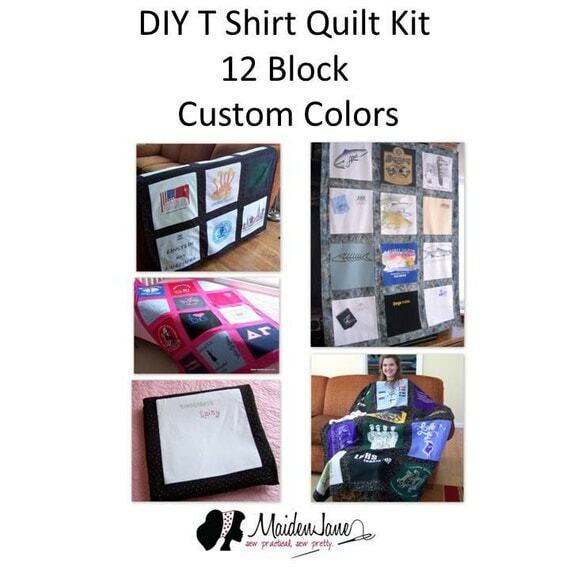 Introducing a T Shirt Quilt Kit for a 12 Block Quilt. 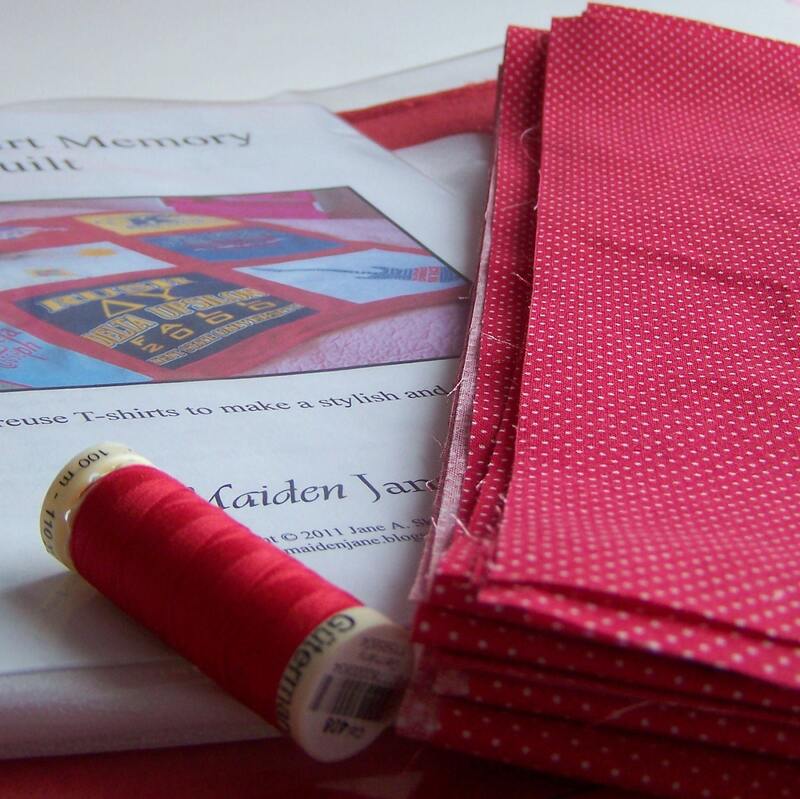 Want to make a memory blanket but want to get right to the fun part of sewing? Let me do the boring work for you! I’ve made so many quilts that the process is automatic for me. Recently, the aunt of the family for whom I made the Varsity Jacket pillows also wanted to make two T Shirt Quilts. I offered to cut out all the sashing fabrics for her, which saved her a lot of time. This inspired me to offer a quilt kit. The way this would work is that we would have conversations on the color choice of the fabric. 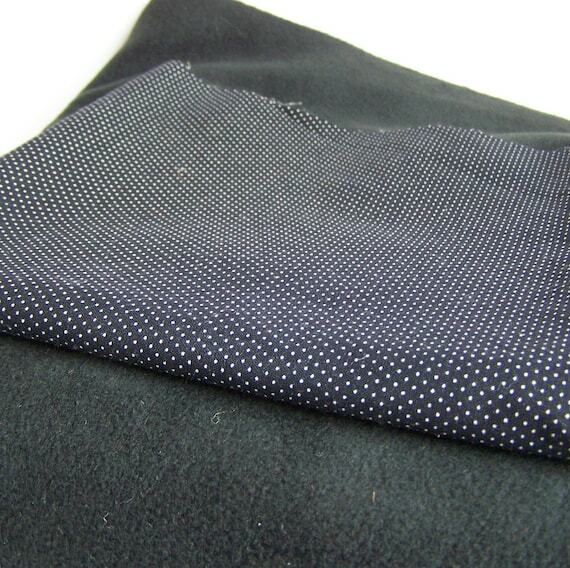 Very often, the swiss dot fabrics look great because they add a little interest but still look like a solid so they don’t distract from the shirts. I will work with you to select a fabric. The fabric will be washed and cut. You will find 12 shirt sides and use a vinyl square (included in the kit) to outline your shirts. Simply cut and start to sew! If you want to try something smaller, I have four T Shirt Quilt Kits in a 9-Block size. These are available in red, blue, black and brown. I call these “Daddy Quilts” because I love turning “Dad’s” shirts into a baby blanket. But these would be a wonderful size for a toddler or as a lap quilt for an older person. Finally, if you want to try making a T Shirt Memory Pillow, I have a tutorial here. As always, if you have a special concern or question, just contact me! I love the new blanket look!